Dosa – Why You Can’t Have Enough of This South Indian Staple? 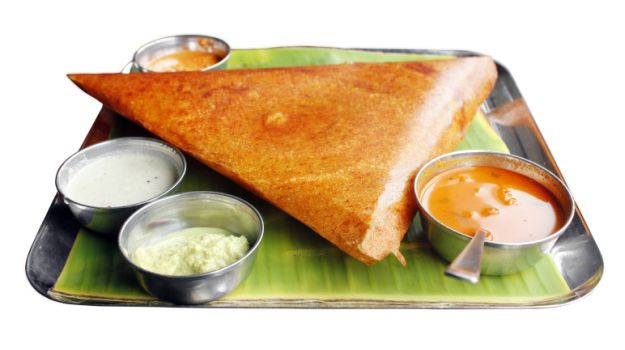 When you hear the word Dosa, the first thing that comes to your mind is South India. And why not? After all, it’s a staple breakfast option out here. But over time, dosas impact on the culinary habits of the rest of the country has become far-reaching. This “Indian Pancake” has now taken over the world with a large number of improved and modified varieties. Nevertheless, no one can even think of side-lining its authentic original version. Talking about the modifications of Dosa popular around the world, one variety that stands out is the Italian Dosa. Not much surprisingly, this food concept is quite popular nowadays and people keep looking for tutorials online on how to make Italian Dosa. However, Indians aren’t staying back either. Whether you are from Punjab, Assam, Maharashtra or Kashmir, you don’t forget to gorge on this amazing dish every once in a while. And if you are a die-hard Dosa fan, there is good news for you. According to many health experts, Dosa has endless health benefits and there are numerous reasons why you should add it to your daily diet. Let’s delve deeper into the reasons. They are easy to digest – Dosa is pretty thin – as thin as a crepe and it is pretty easy to digest. So, in case, you are facing any sort of digestion issue, eating Dosa could be of help. It will serve you three purposes – Tickling your taste buds, keeping you full and boosting your digestion. A good source of protein and carbohydrates with various other nutrients – Although, too much of carb isn’t really good for your health, Dosa contains healthy carbs that are indeed very important for the body. Even if you are on a particular diet and trying to lose weight, eating Dosa can help you achieve this goal. Dosa also contains a lot of protein- having it can keep you full for a long time. So, your weight loss plans work better when youhaveDosa for breakfast, lunch or even dinner. Your diet is successful because you eat fewer calories – Although, theintake of calories is important for your body, a lot of it can invite undesirablehealth issues. Still, dosas can keep your weight in check because they are absolutely light and contain fewer calories. If you are eating a plain Dosa, the calorie intake would be no more than 37 units; but then again, a stuffed Dosamay contain a lot more calories depending on the type of stuffing inside. Dosa is versatile – We cannot get enough of Dosa because it is so versatile. You can even eat it as a snack. And it’snot just healthy but also absolutely mouth-watering. So, even if you are on a diet or trying to lose weight, you don’t always have to worry about taking only bland and boring food to fill your tummy. Dosa can come to your rescue. You can try out different kinds of dosa recipes such as Italian dosas to go with different moods and weathers. There is no dearth of online tutorials offeringItaly Dosa recipe in Hindi, so, you can learn to prepare this dish even if you are an Indian and have no understanding of the Italian language. Dosa can be your best friend- your saviour during those uninvited hunger pangs and a reliable food option during a strict weight loss regime. Now, you know why you can’t get enough of Dosa?